Experimental Build v0.3 with brushes. Fill free to try and feedback! Hi guys! I’m working on sculpting brush algorithm in Blender source code to make it much more similar to main ZBrush polish brushes. Would be nice to get any feedback from Blender sculptors! 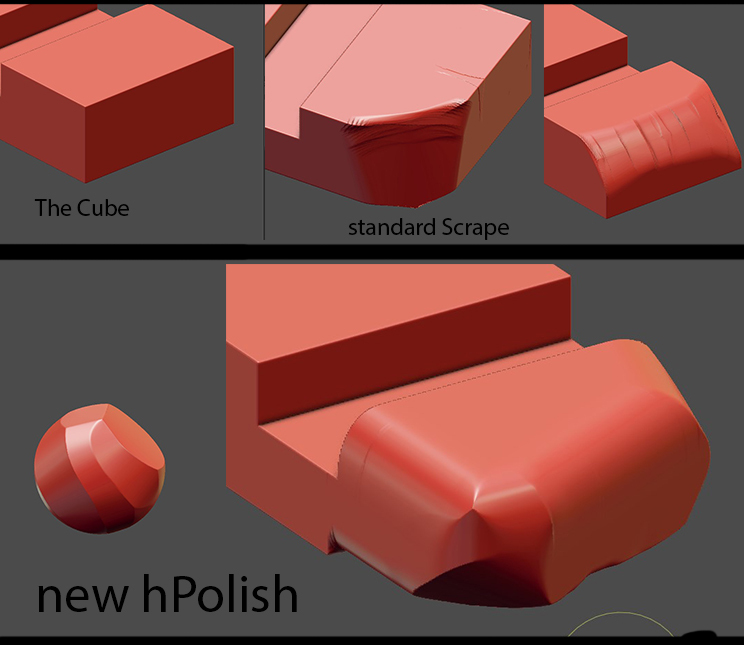 Just a very simple video, standart Scrape vs. new Polish(based on Scrape algorithm). Same values, except new [normal radius] that uses plane_offset value in UI (real plane_offset is off in code). Ok with the polish brush but… where is the trim brush? I’d love to see you post this on blender devtalk to get in touch with the devs. Sculpting Brush improvements are much needed, imho. So this looks promising indeed, very cool john! rbx775, I’ll contact with developers as soon as I’ll get something stable. I’mma gonna have to play with this. The same brush in work!